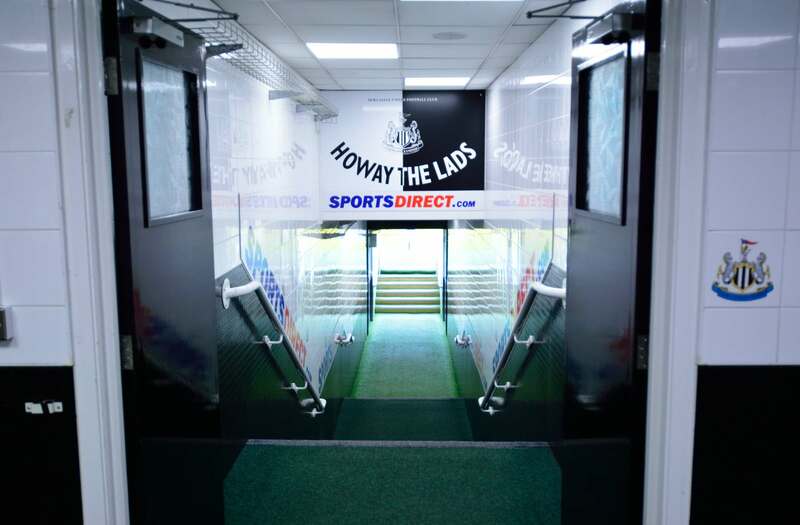 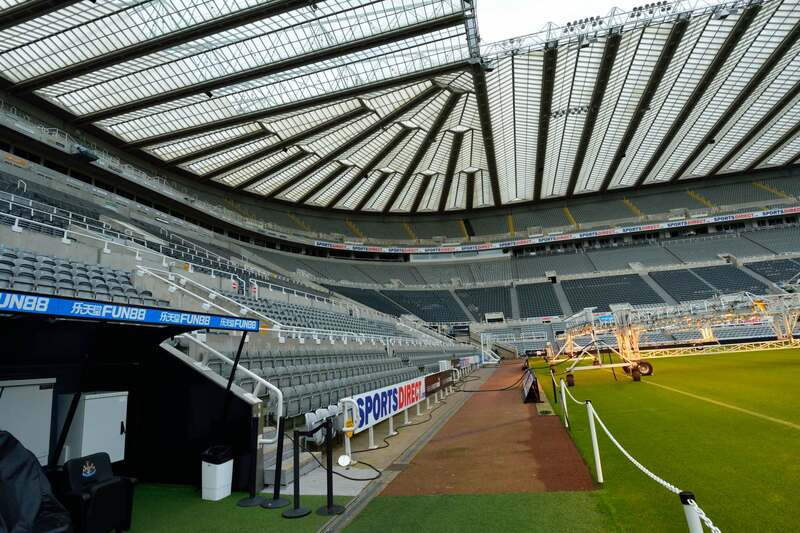 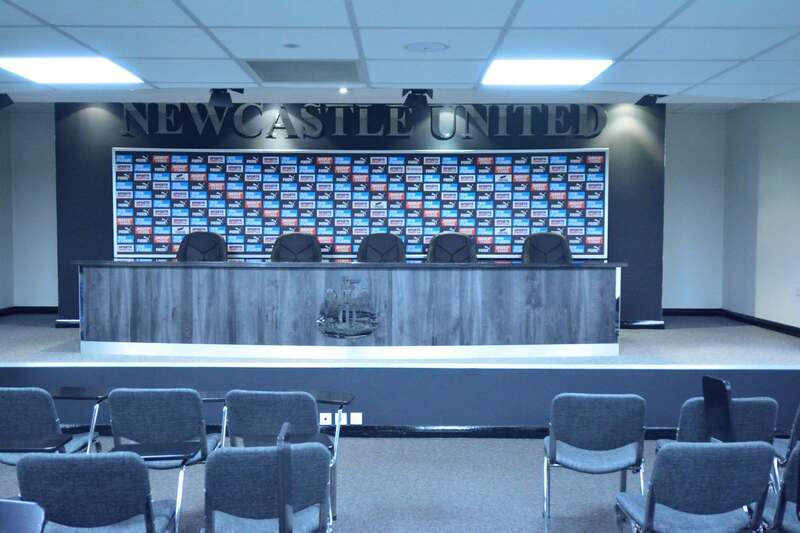 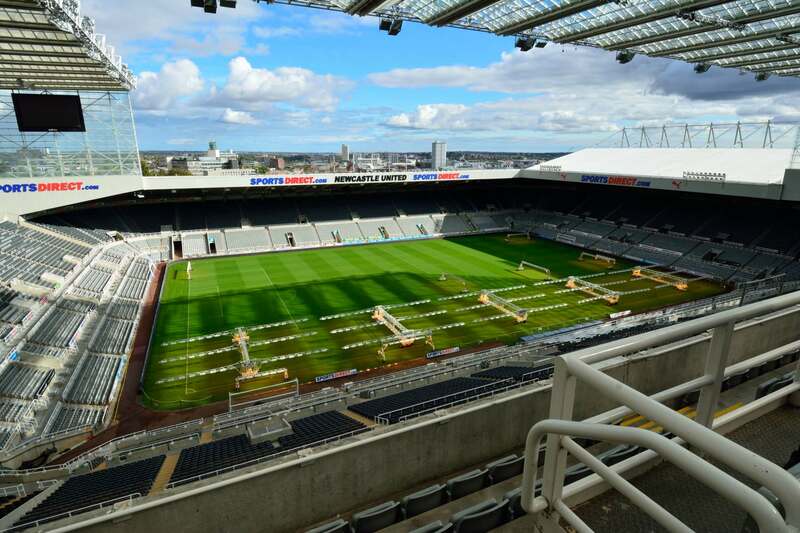 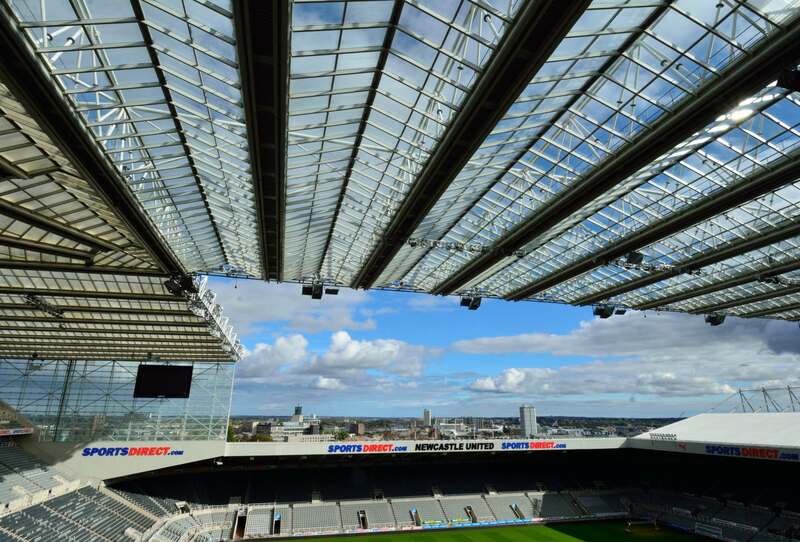 St. James’ Park, home to the iconic Newcastle United, is a fantastic ground to visit. 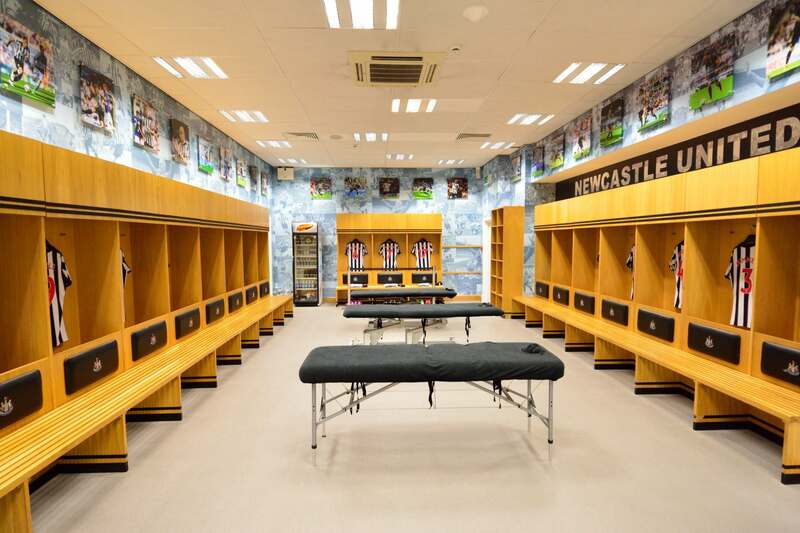 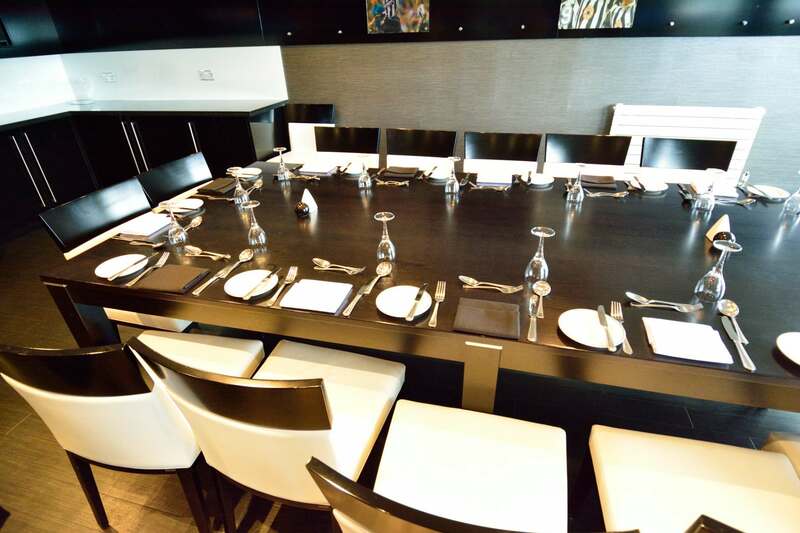 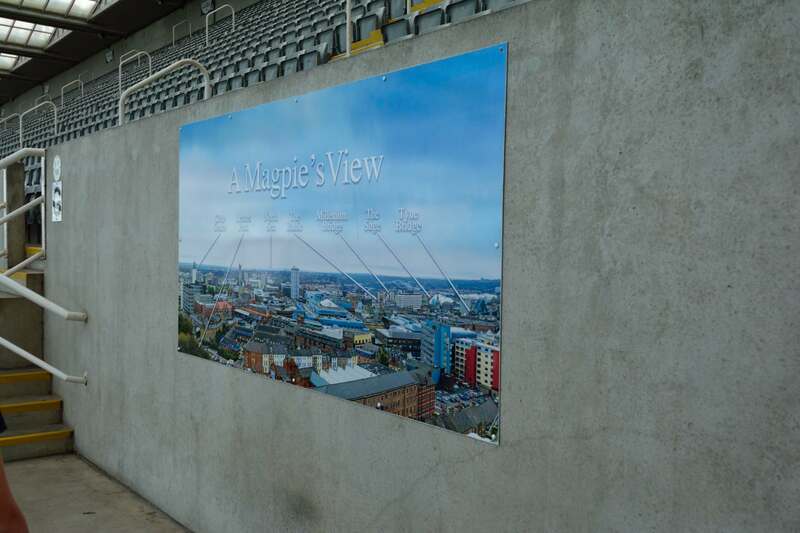 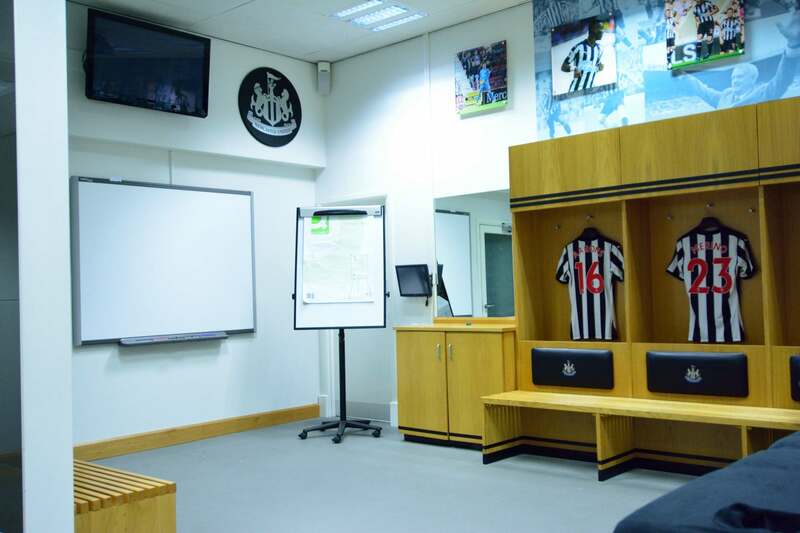 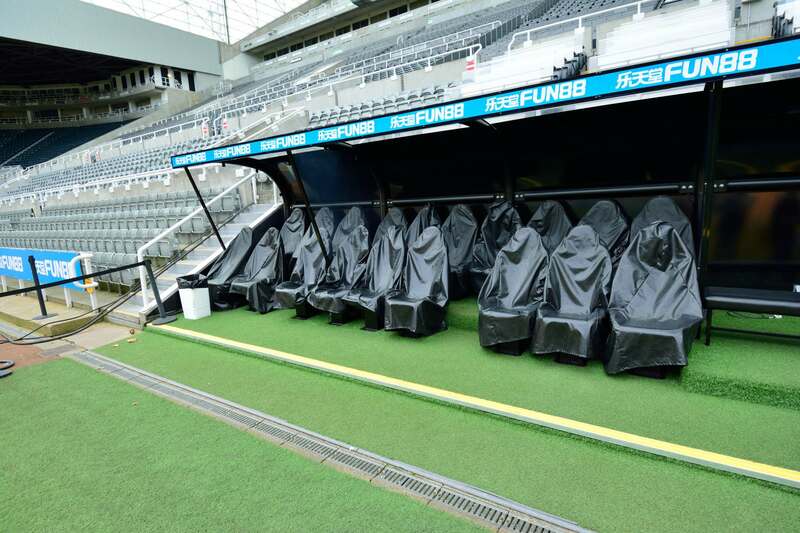 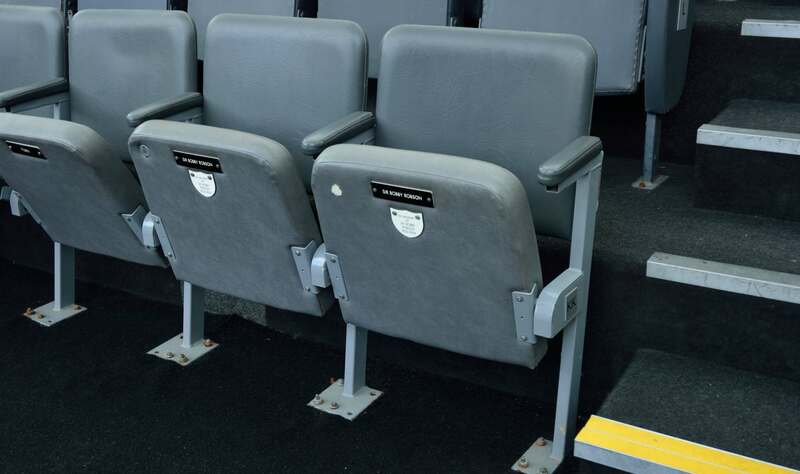 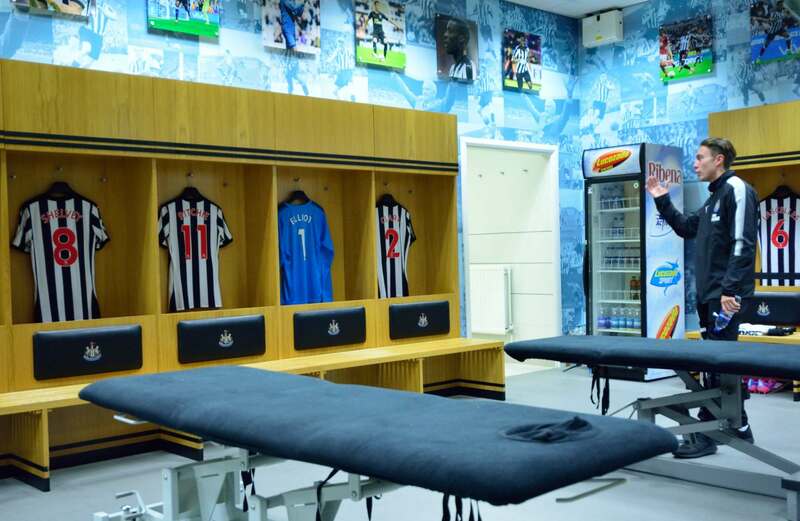 Perfect for fans young and old there really is no better way to see behind the scenes whilst your knowledgeable tour guide gives you the full history of Newcastle United Stadium tours run every day at 11.30am, 12.30pm and 2.30pm. 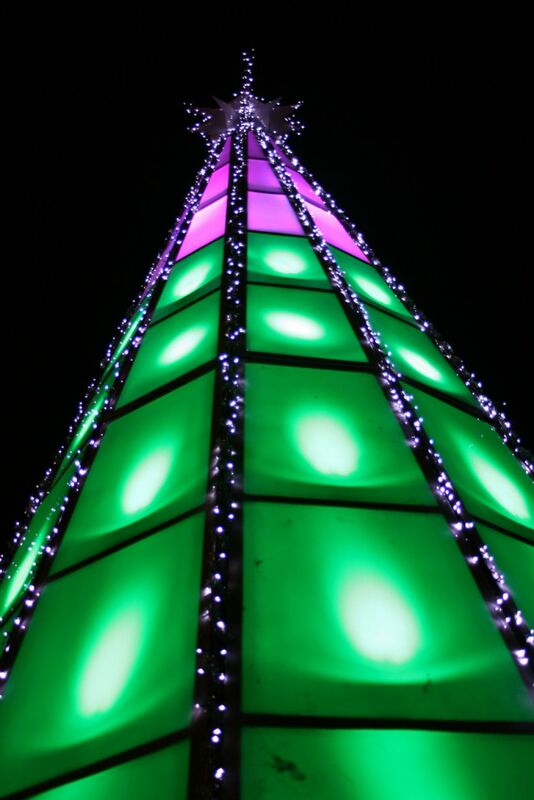 Adult tickets are £15.00, senior tickets £12.00 and junior tickets £8.00. 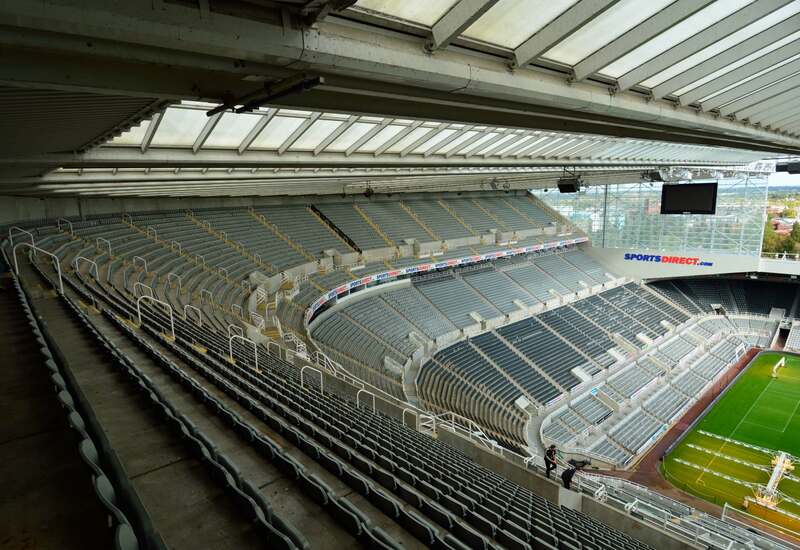 Classic Stadium Tour lasts 90 minutes and Rooftop Tours are also 90 minutes. 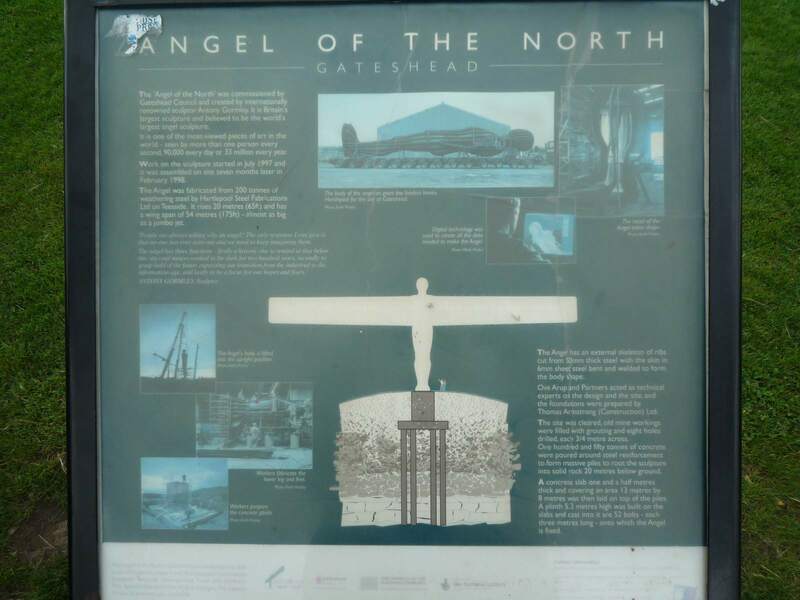 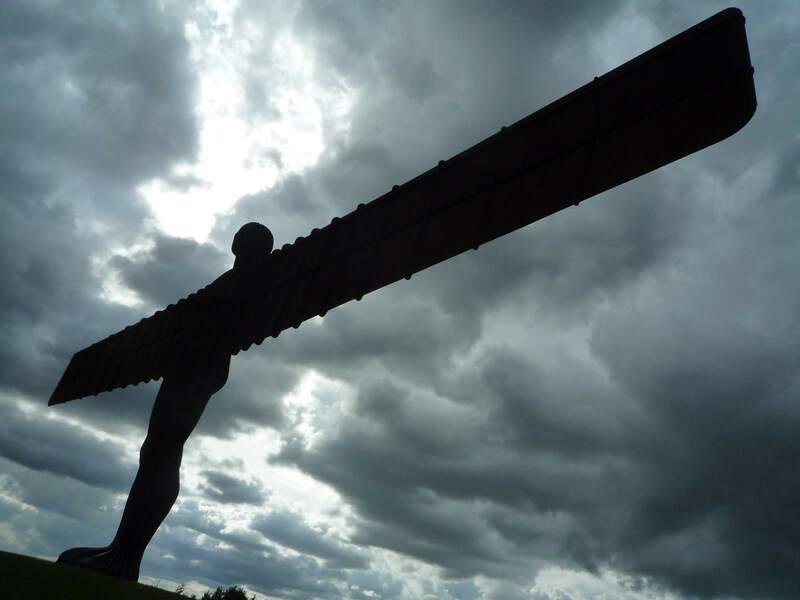 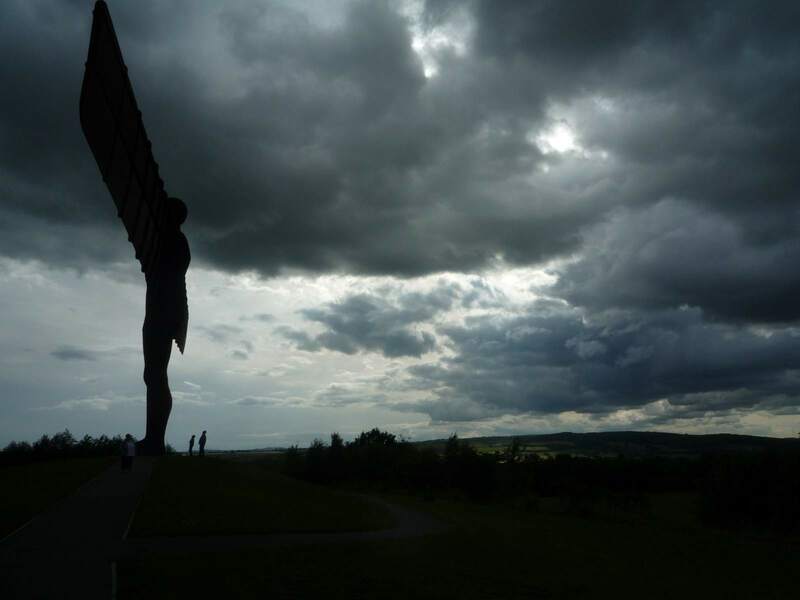 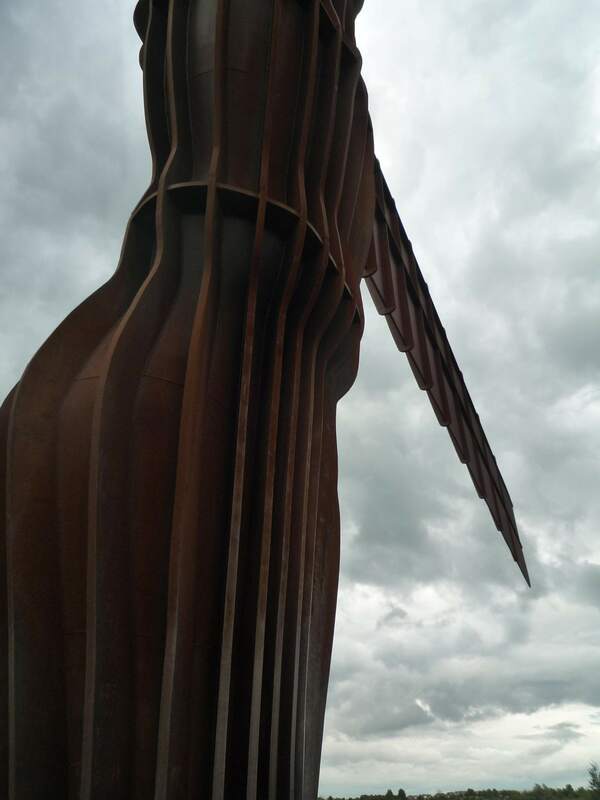 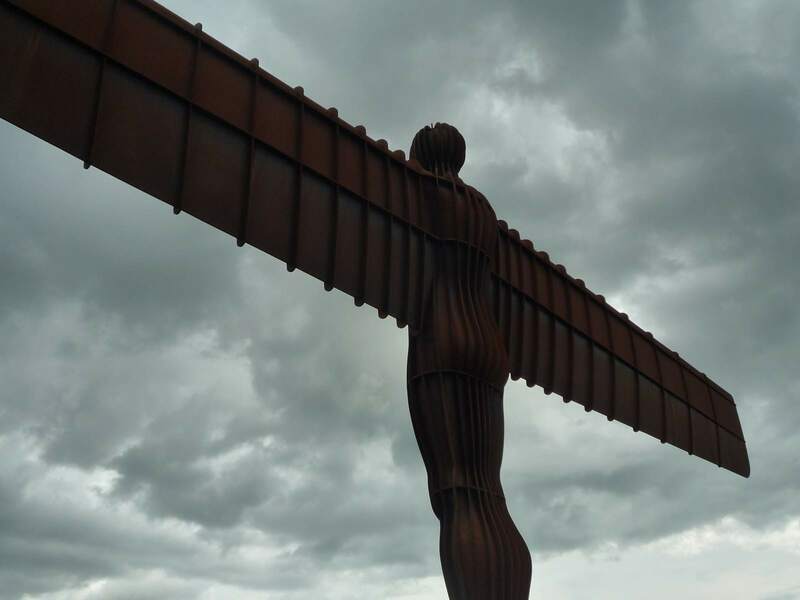 The Angel of the North is a contemporary sculpture designed by Antony Gormley. 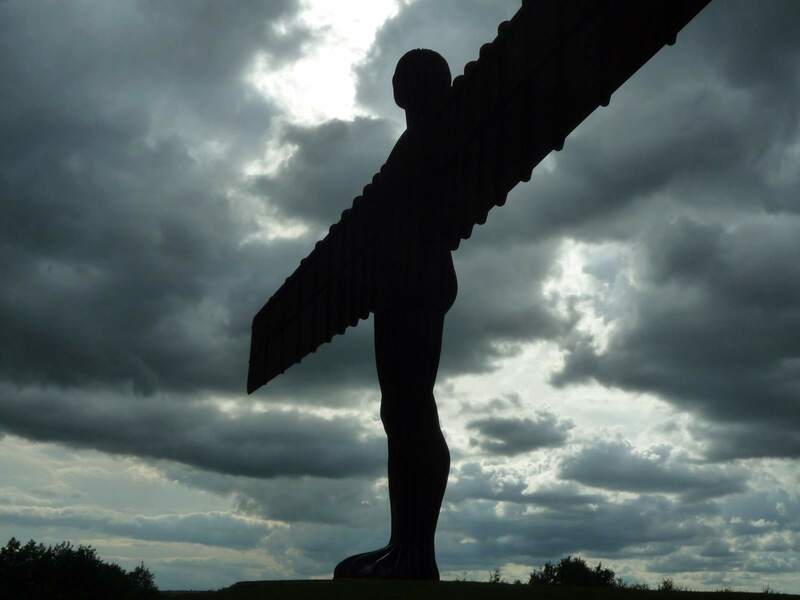 It seems destined to become a new symbol for Tyneside and one of the most recognisable landmarks in England. 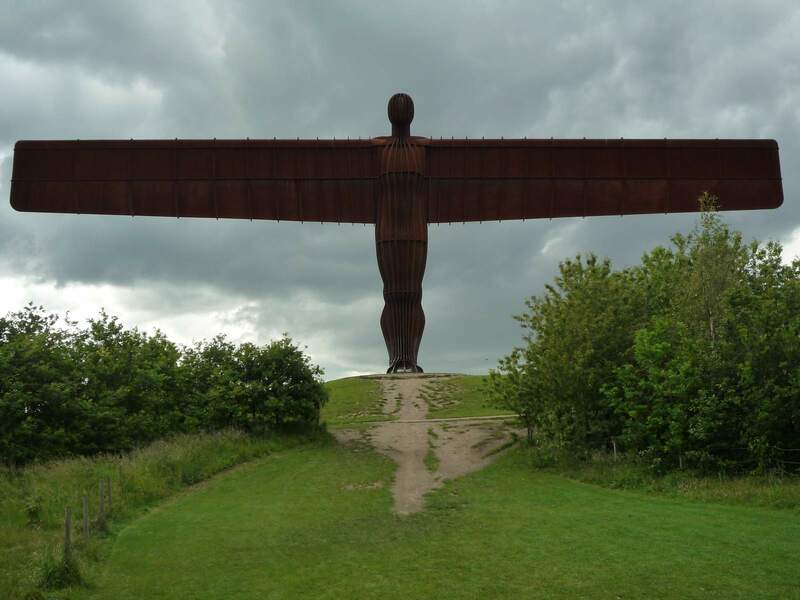 It is one of the most viewed pieces of art in the world. 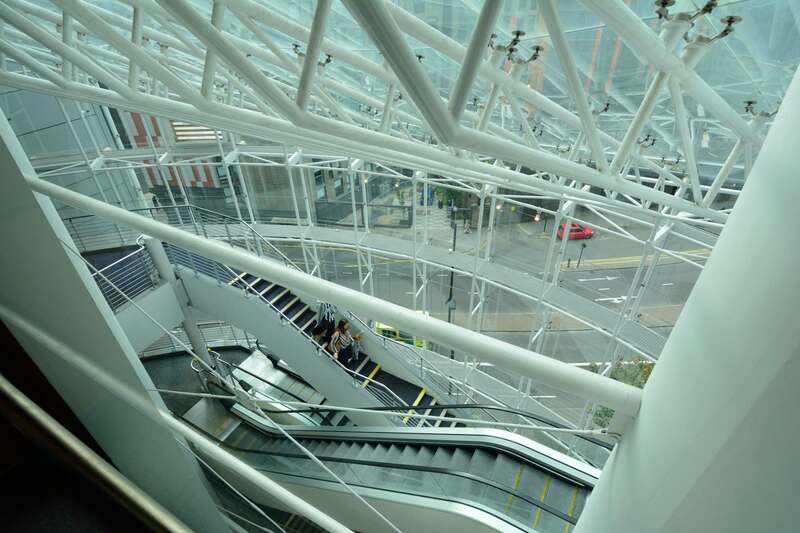 It is reported that every second the structure is seen by more than one person travelling by, that’s over 90,000 people everyday or nearing 34 million each year. 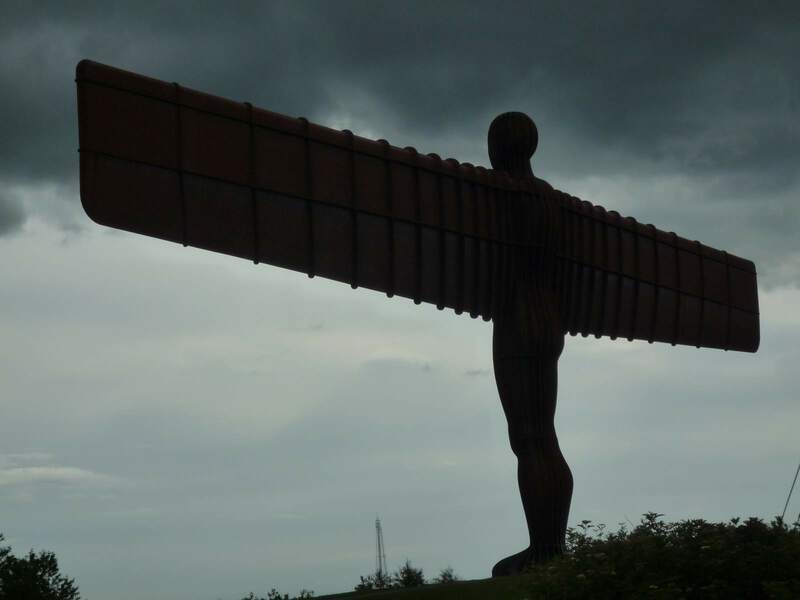 It hard to believe but the body weighs in at 100 tonnes, and the two wings weigh in at 50 tonnes each totaling a massive 200 tonnes. 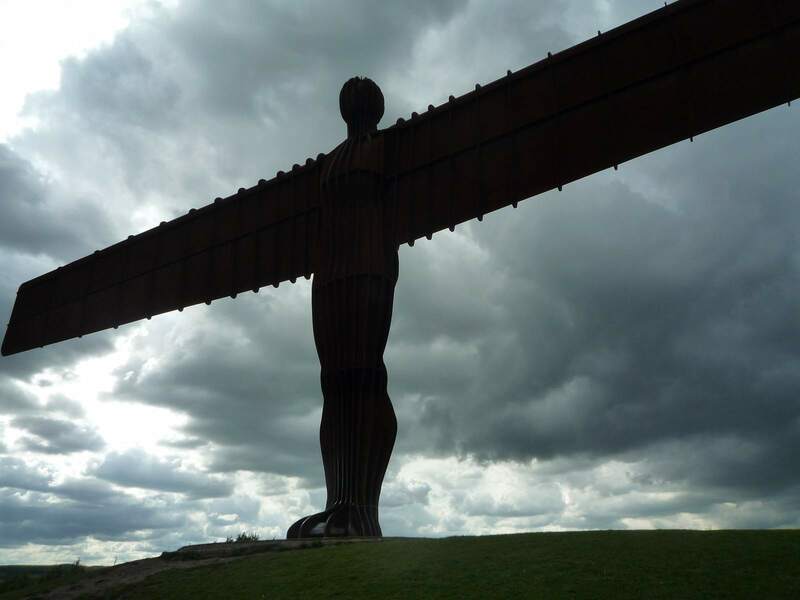 It stands over 65 feet, higher than four double-decker buses. 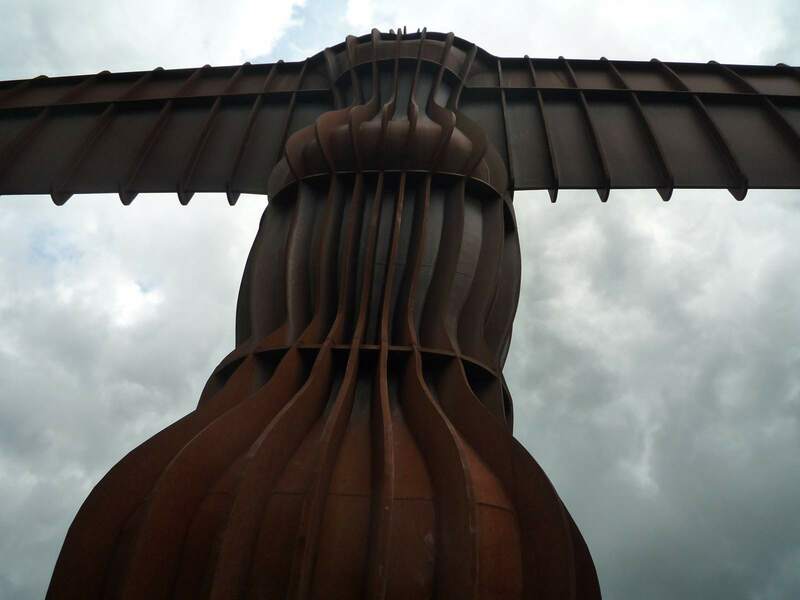 Its wingspan stretches 175 feet almost the length of a jumbo jets wings. 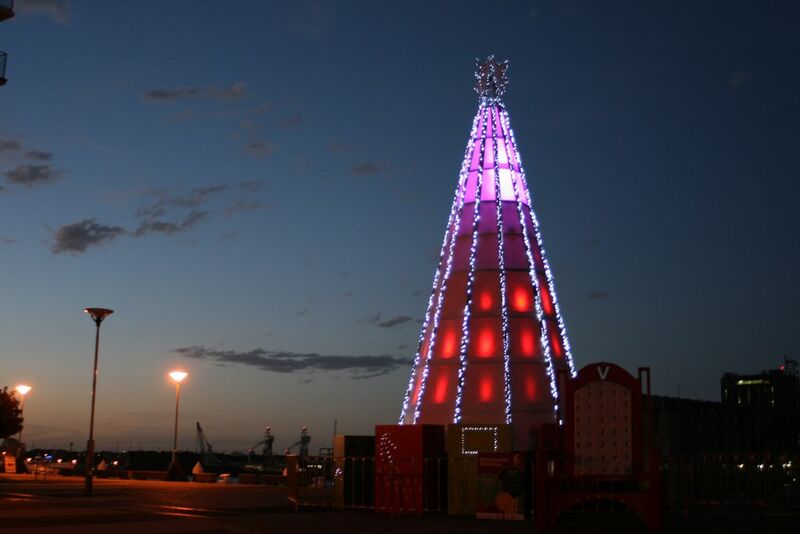 Honeysuckle is hosting a Christmas Tree Installation with a series of events. 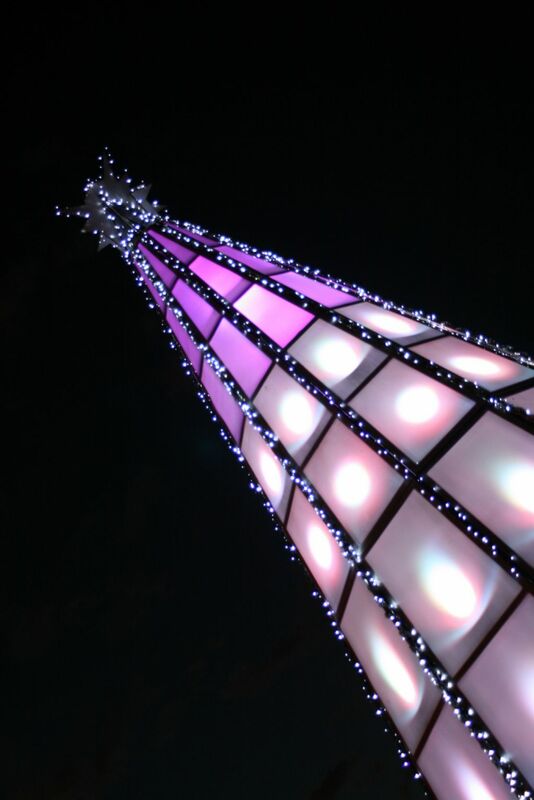 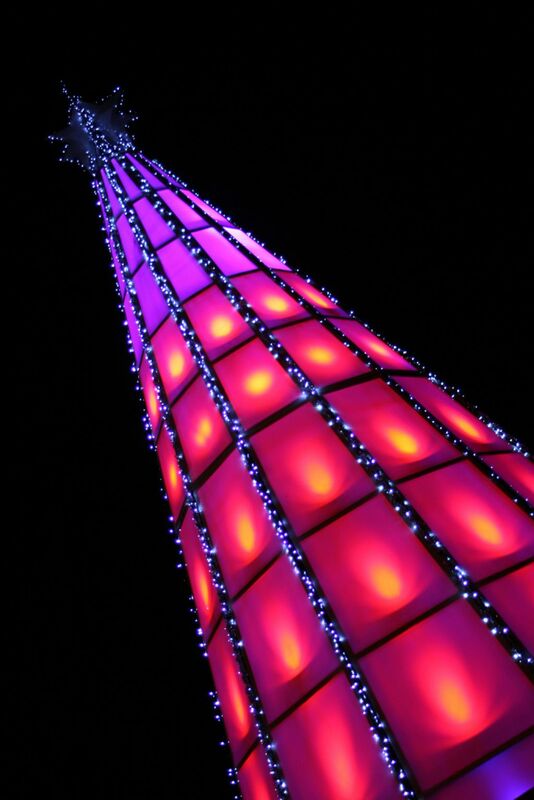 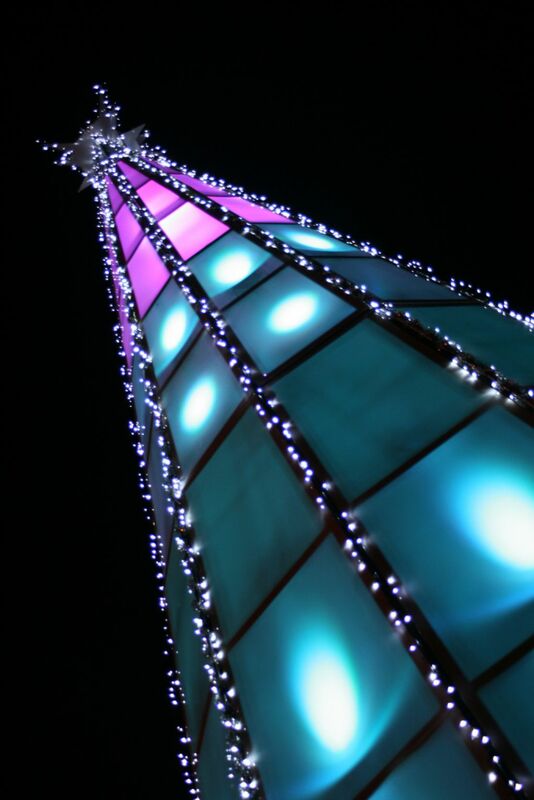 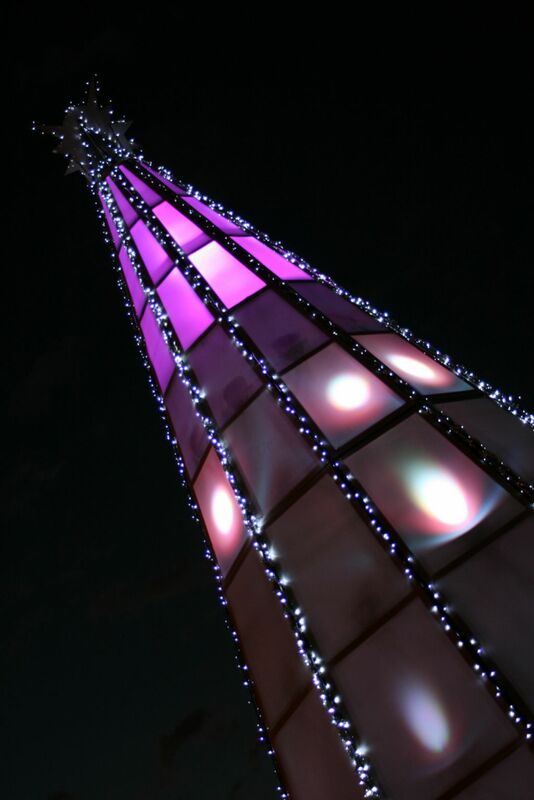 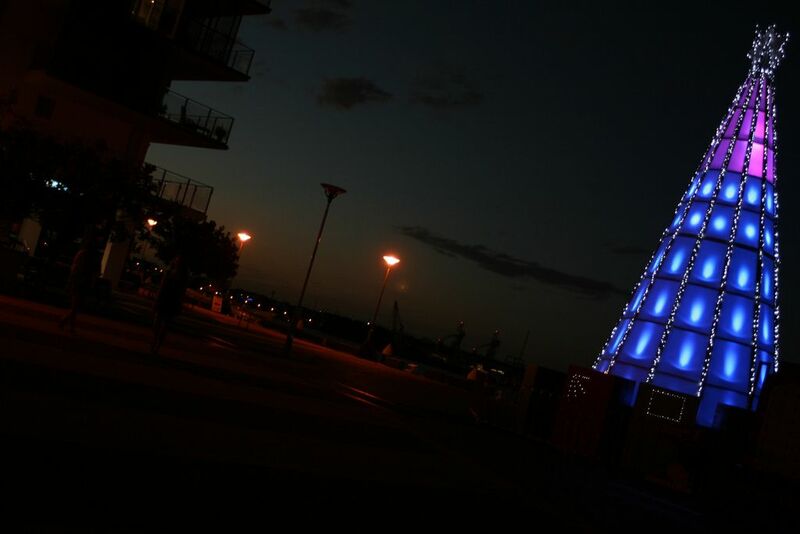 About 18, 000 light variations are part of this futuristic tree. 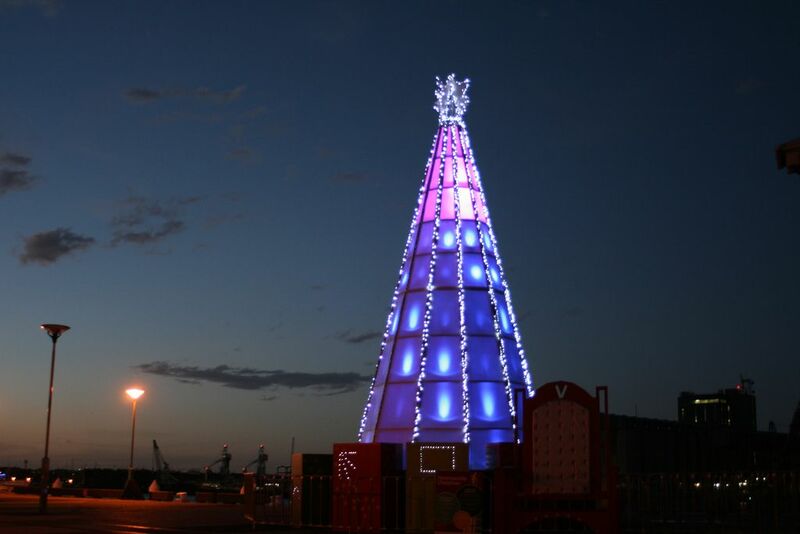 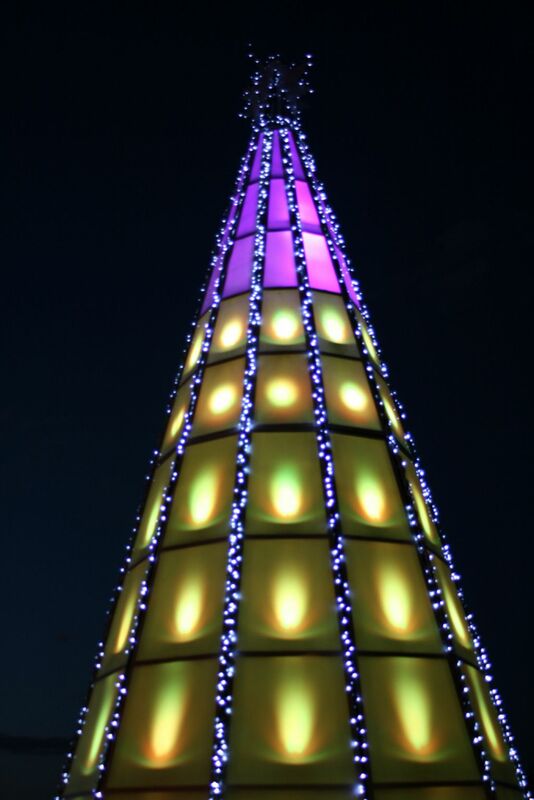 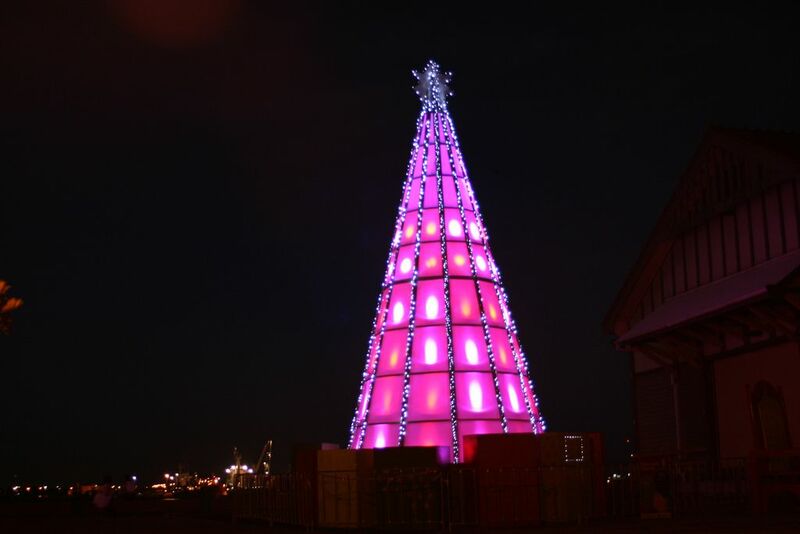 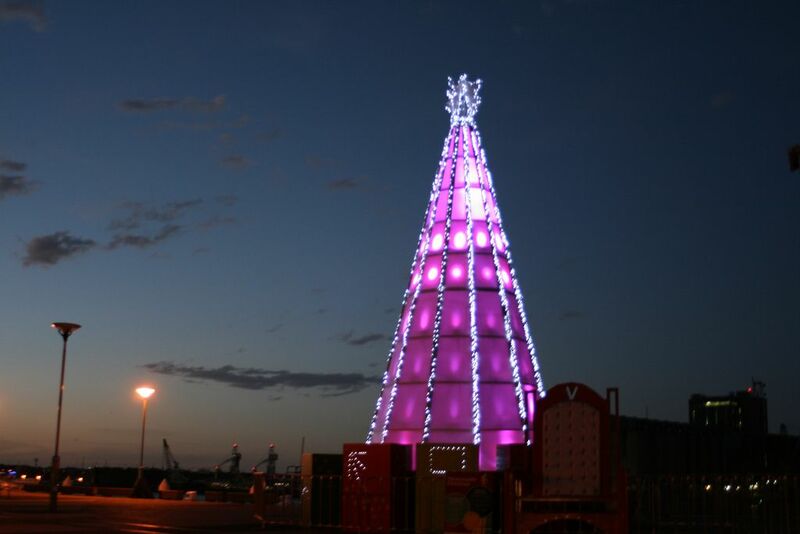 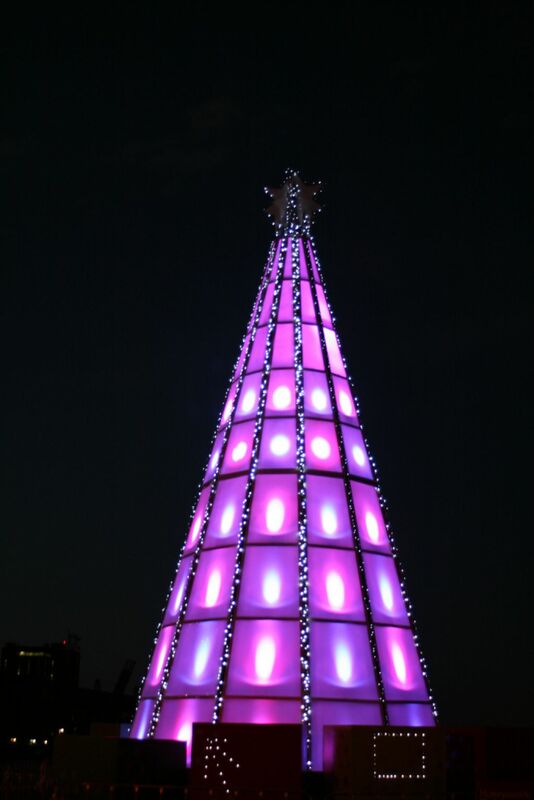 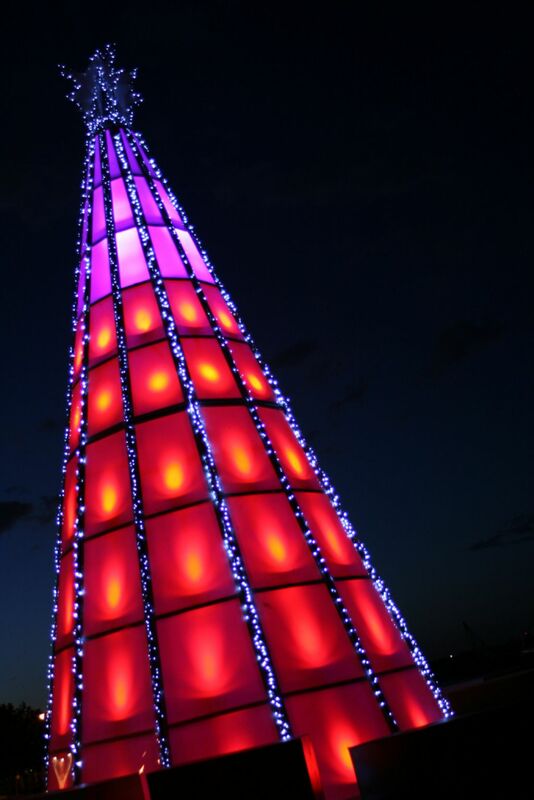 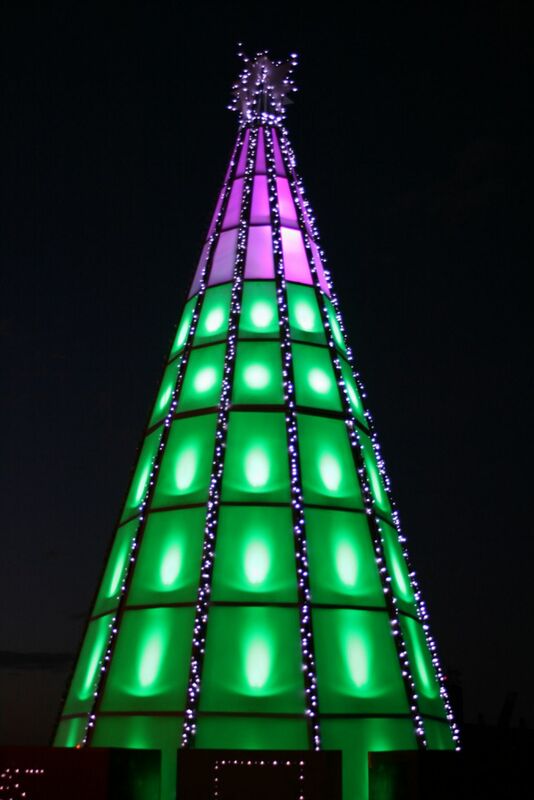 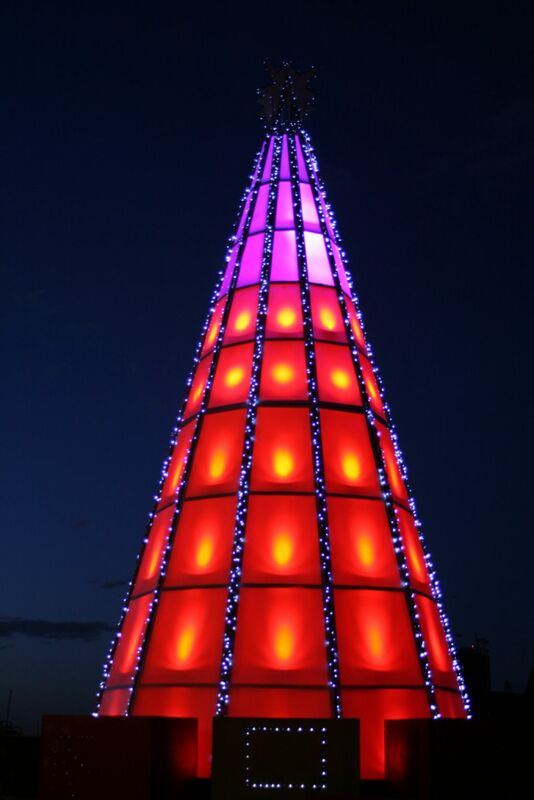 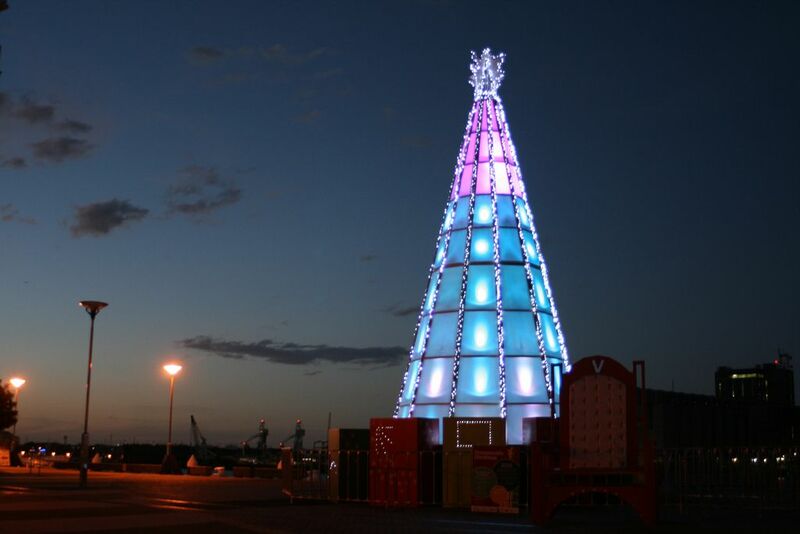 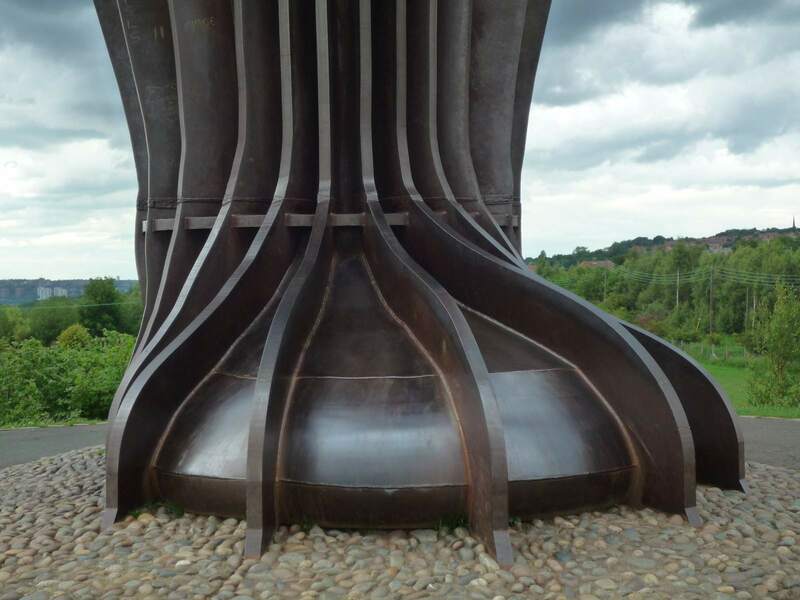 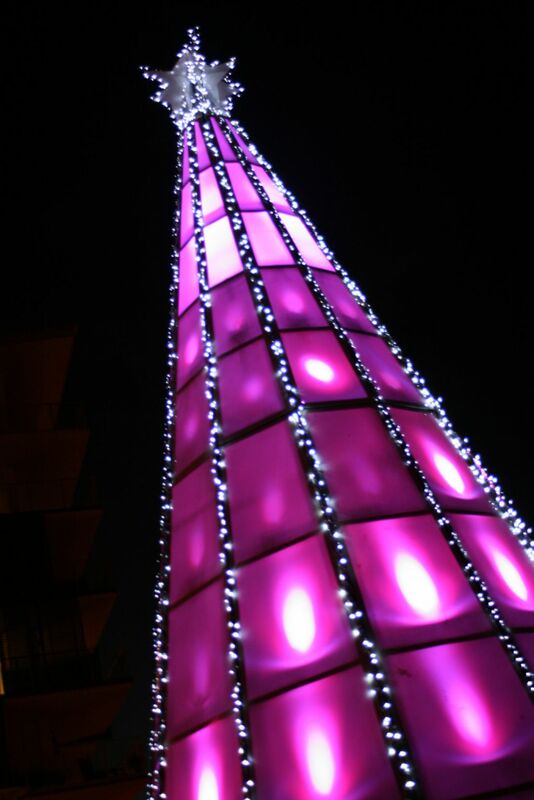 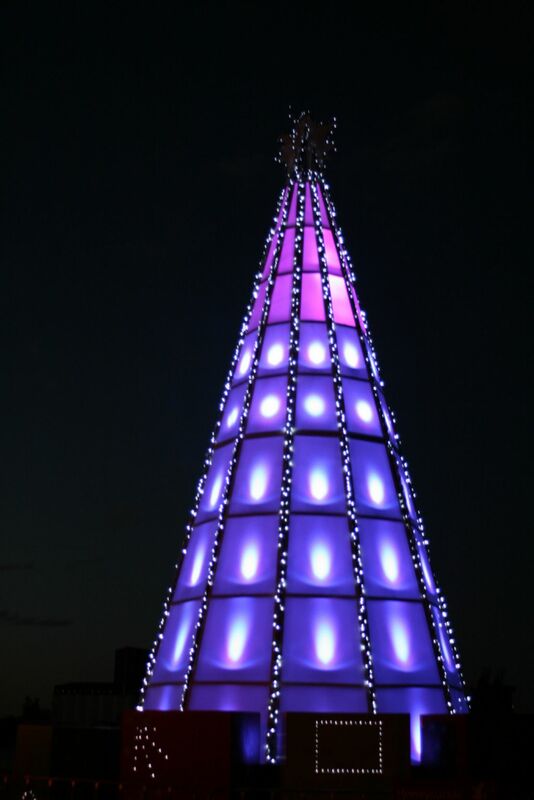 The tree`s 12 sides were formed by steel frame weighing 1.3 tonnes and held down by boxes weighing 8 tonnes. 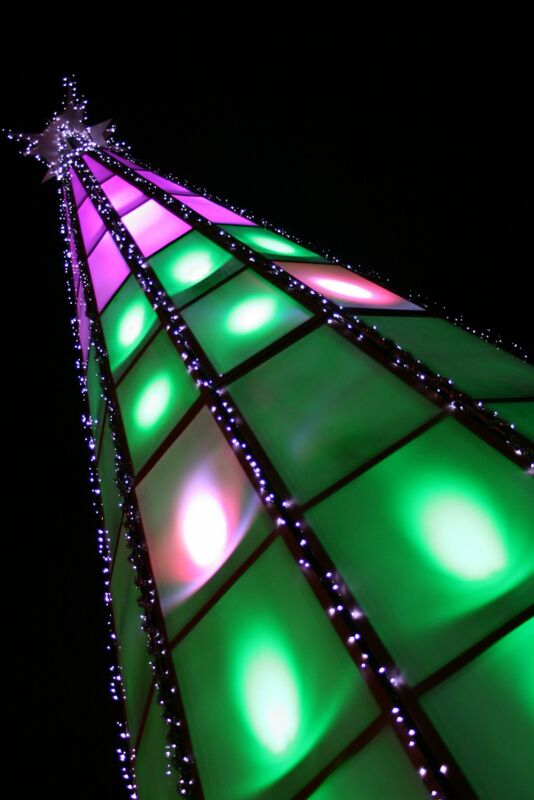 Here are some pics that shows tree in all it’s glory.